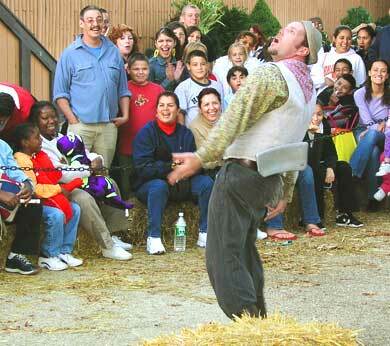 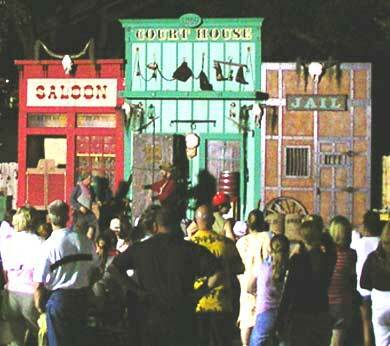 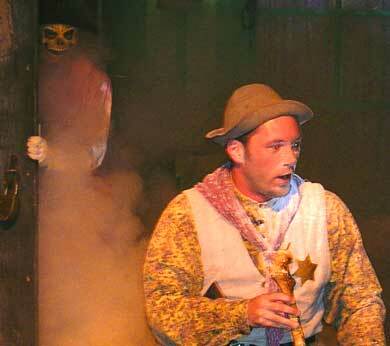 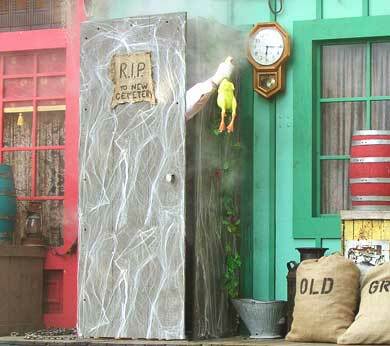 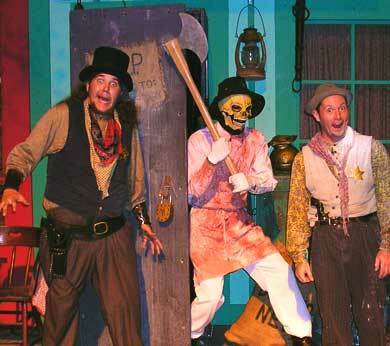 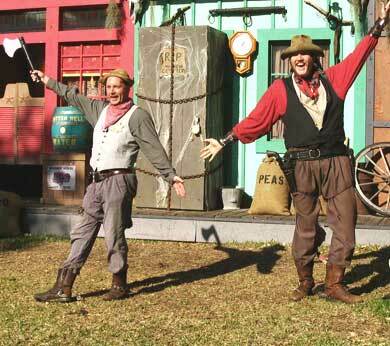 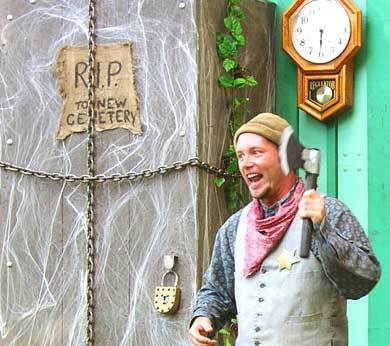 The Comedy Wild West Show for Halloween! 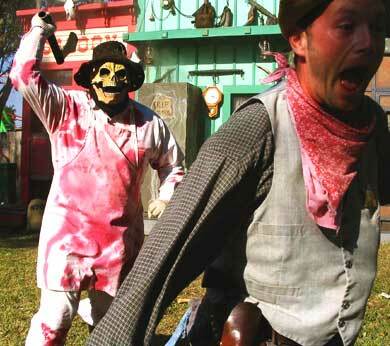 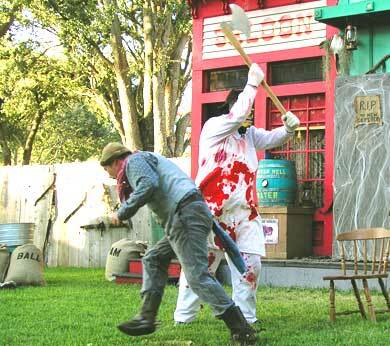 "BAD BOB THE BONE BUTCHER"
it's the Deputy's bones the Butcher Man craves! 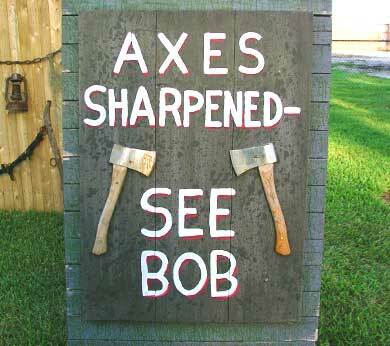 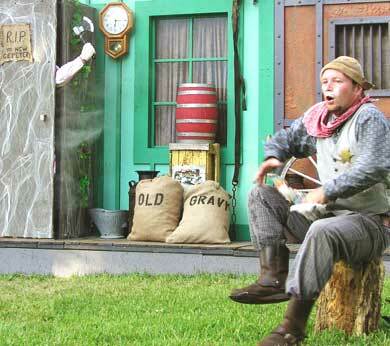 Click here to watch Bad Bob's video! 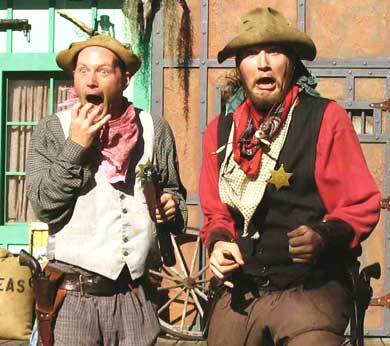 Hilarious Halloween Hi-Jinks from ShenaniGuns Comedy Shows!